In addition to layout and styling enhancements, there are some important changes and new features available in version 4.0. You can now create a multi-level hierarchy of sub-collections to organize your content. 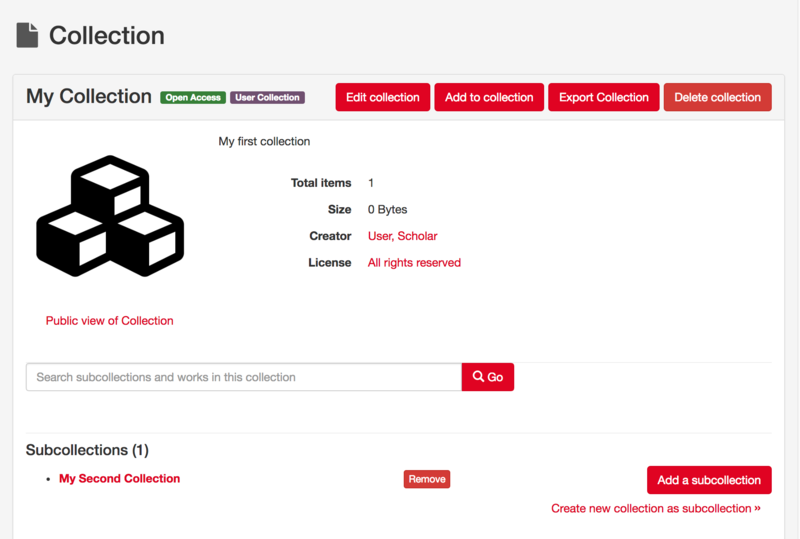 To create a sub-collection, click on a collection in your dashboard and then click the "Add a subcollection" or "Create new collection as subcollection" button. Existing collections can also added to a collection. 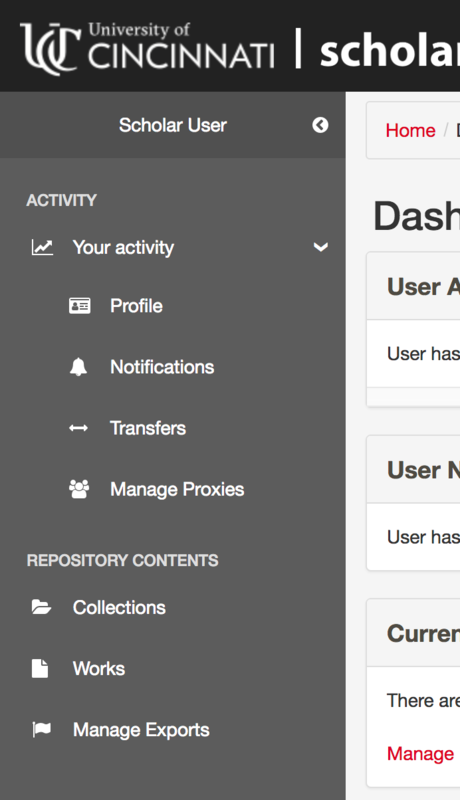 You can now give other users the ability to manage, deposit into, or view your collections. 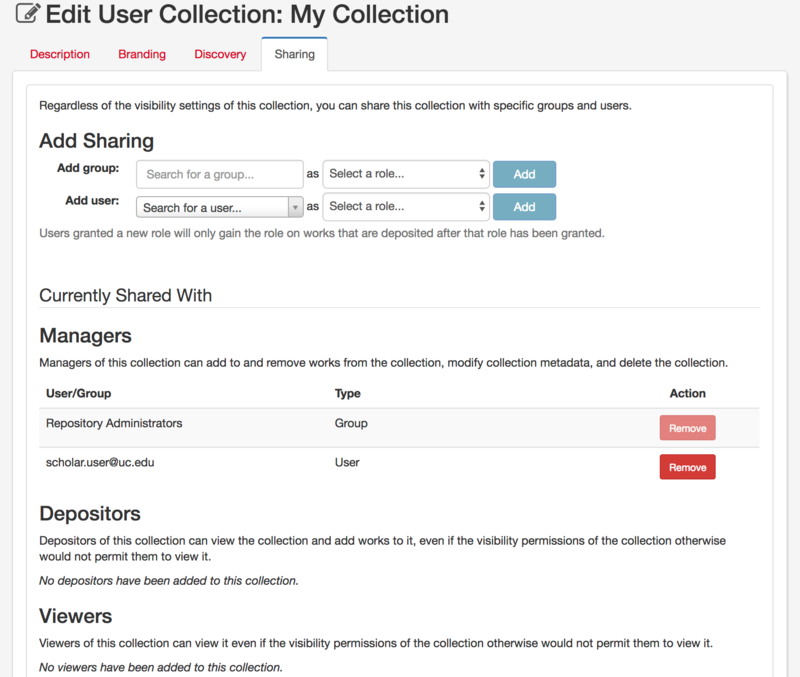 To collaborate on collections, click on the Edit button for your collection and then click on the Share tab. Each collection can be branded with a wide banner image. 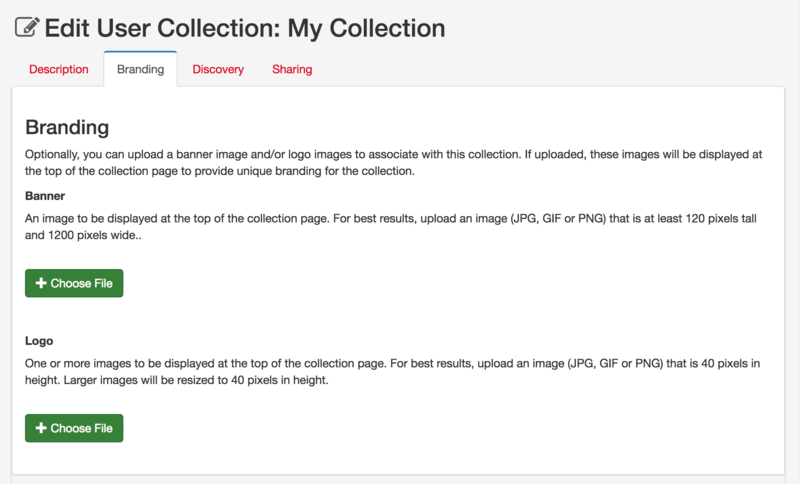 To brand a collection, click on the Edit button for your collection and then click on the Branding tab. Note: collections no longer allow an avatar to be assigned. 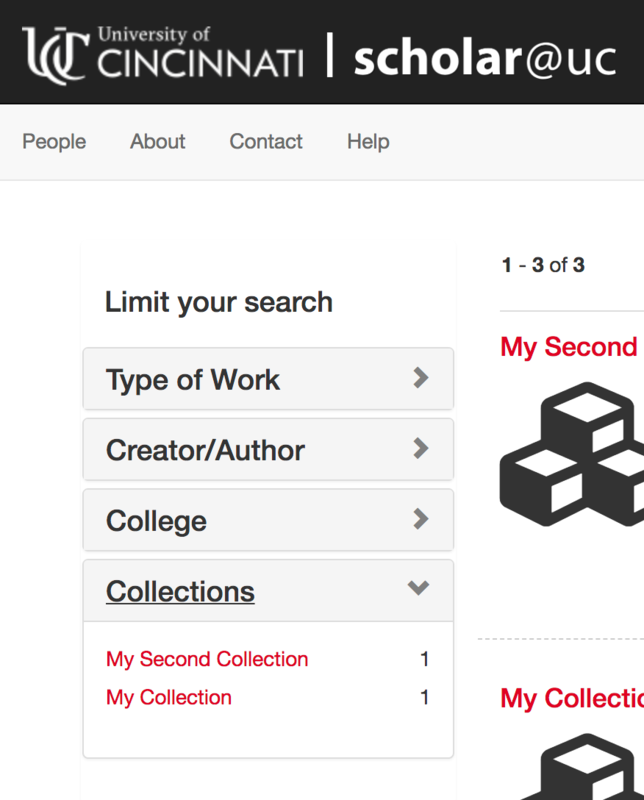 You can now facet (limit) your search results by collection. Your dashboard has been reorganized with most of the links now displayed in a sidebar on the left-hand side of the page. In the dashboard sidebar you will find links to your collections, works, profile, notifications, transferred works, and proxies. You can now change Scholar@UC's interface to Spanish or Chinese. Click on the "English" dropdown menu at the top of any page to immediately change languages. Note: This setting only affects Scholar@UC's interface. The content stored in the repository will not be translated. Many enhancements have been made behind the scenes to make Scholar@UC more reliable and to prepare for additional upcoming features.